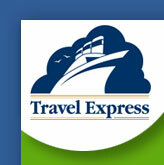 Local travel agency, Travel Express, was opened by Carolyn Dana Fjord in 1985 after 10 years of experience in travel. Travel Express prides itself on finding their clients the best prices on everything from airfare for domestic and international travel to cruises, tours, hotels, car rental and rail passes along with providing fantastic support and service to students and faculty. Call today and let us help get you "Rock bottom prices" for your next travel needs.